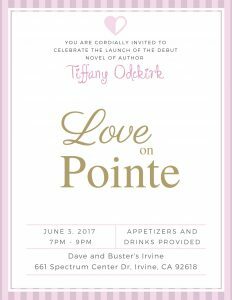 My amazing personal marketing department (aka: my handsome hubby) is throwing me a party to celebrate my debut novel, Love on Pointe. I would be thrilled to see you there! Because yanno, celebrating alone isn’t quite as fun.